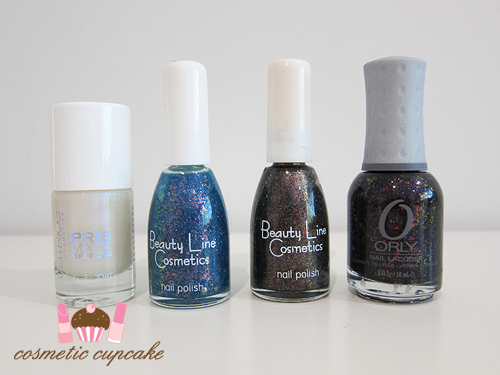 Cosmetic Cupcake: New Year swap with Christina (including Cel's deconails jewellery)! New Year swap with Christina (including Cel's deconails jewellery)! 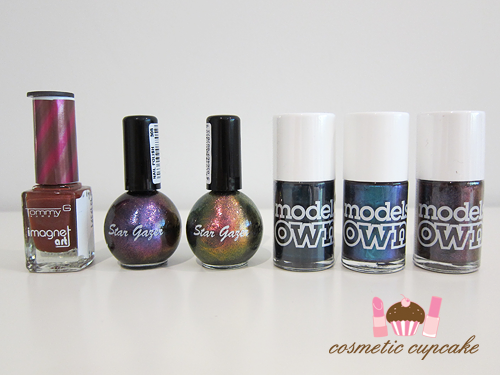 Tommy G magnetic polish and some duochrome goodness from Stargazer and Models Own!!!!! My 1st Stargazer polishes and I'm so glad I now have some backups of the Models Own Beetle Juice polishes! Some awesome makeup! 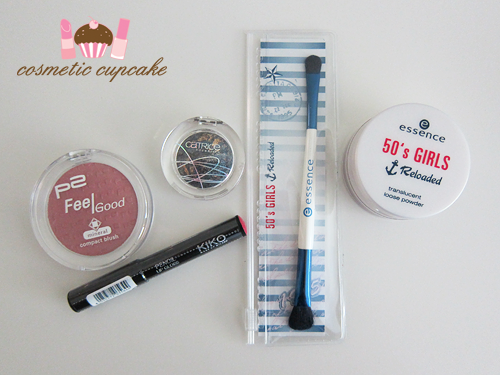 p2 blush; Catrice eyeshadow, Kiko pencil lipgloss and Essence 50s Retro Girls Reloaded brush and translucent powder. I tweeted a photo of this ring as soon as I saw it because is it not THE cutest nail polish ring you have EVER seen??!!!!!!!!!!!! Seriously I almost died when I saw it x) Love love LOVE this ring. 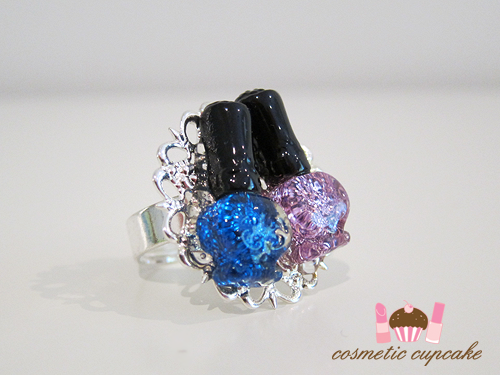 It's called the nail polish lovers adjustable ring and you can get different colour combinations too. 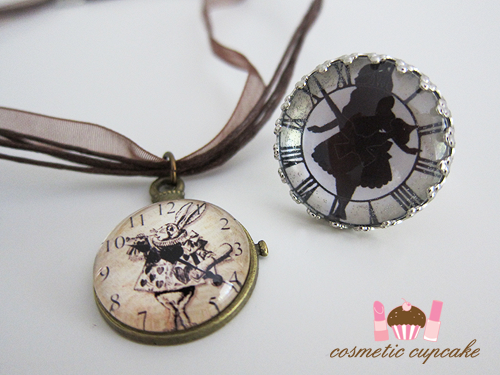 2 stunning pieces from Christina's new Alice in Wonderland series that she's working on - a White Rabbit necklace and her Alice in Wonderland black and white adjustable ring. They are beautifully made of course and I love that the ring has shimmer covering it. 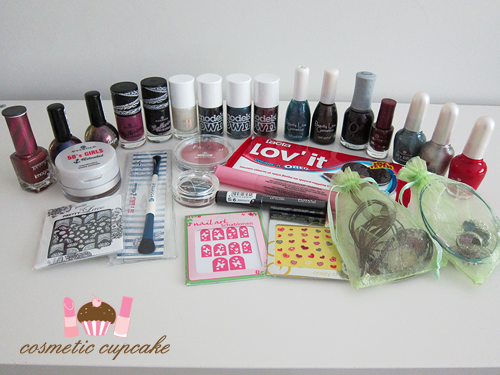 I was spoiled rotten with so much fantastic stuff! 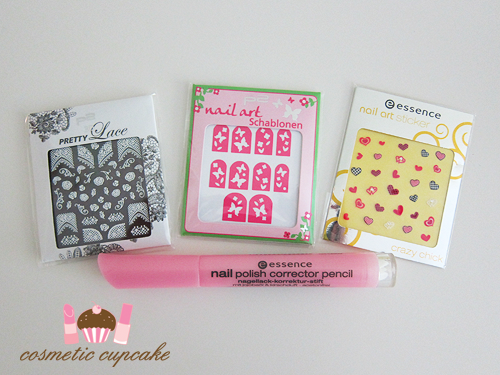 Love the jewelry - so cute, especially the nail polish ring! It's a tough one, but I think the nail polish ring might have to be my favourite piece of Christina's jewellery! I don't know I love all my pieces lol. Amazing jewelry, I love it! 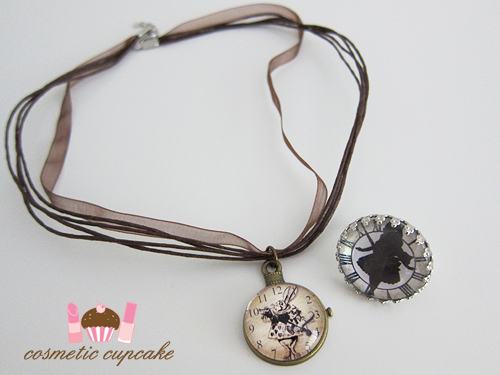 I'm glad you love it =) Make sure you check out Christina's Etsy store if you want to see more beautiful pieces! =D it is isn't it! I love your photos and your posts - I'm your newest follower! Christina is amazingly talented. I'm always in awe of the beautiful pieces she creates! The necklace was really cut! Does your friend ship internationally?